Posted on Wednesday, August 15th, 2012 at 12:00 pm. 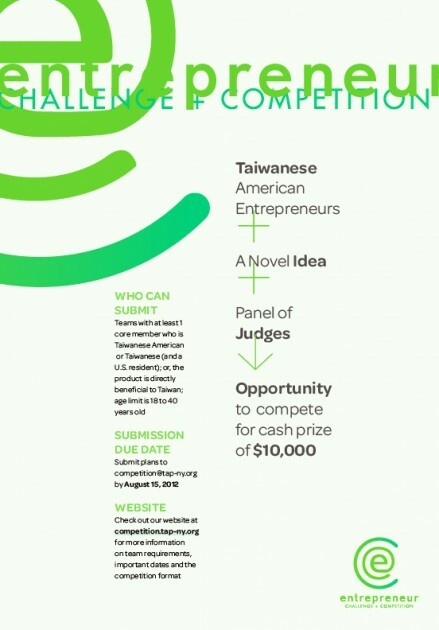 On Saturday, September 15th, 2012, Taiwanese American Professionals – New York (TAP-NY) is hosting an entrepreneur competition where visionaries with the strongest business plan will compete for a non-restricted cash prize up to $10,000. If you know anyone who is interested in starting their own company, whether it is a tech start-up, non-profits, hedge funds, food trucks, jewelry and fashion, anything, please tell them about this awesome competition. 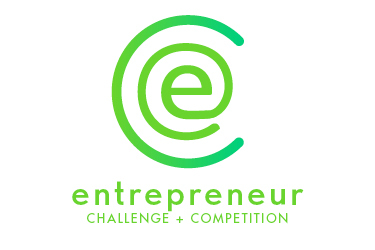 Submissions are due August 15th, 2012, and you know any start-up can use $10,000 cash. The event, titled Entrepreneur Challenge & Competition, will be a platform for young Taiwanese Americans/Taiwanese to demonstrate the Taiwanese entrepreneurial spirit. TAP-NY is teaming with a reputable 1st generation organization, Taiwanese Merchants Association (TMA), who will be sponsoring the cash prize and judging the competition. Alongside them will also be respected Asian American tech entrepreneurs like Asian Avenue founder Ben Sun. The competition website is up with preliminary information. Please take a look at http://competition.tap-ny.org and review the team requirements and submission/presentation details. To give you a little background on TAP-NY, it is a non-profit organization aimed at building a tighter-knit community of Taiwanese Americans in New York. They are open to anyone that has an interest in Taiwanese and Taiwanese American culture, with over 30% of attendees being non-Taiwanese. They strive to strengthen the community through professional, social, cultural and community-serving networking events. They currently have an active membership of over 3,000 members and hold 6 to 10 events every month. You can learn more about TAP-NY at http://tap-ny.org. If you have any follow-up questions, you should email [email protected] They are very responsive. Thanks again, and hope you take this opportunity to submit your business plan!